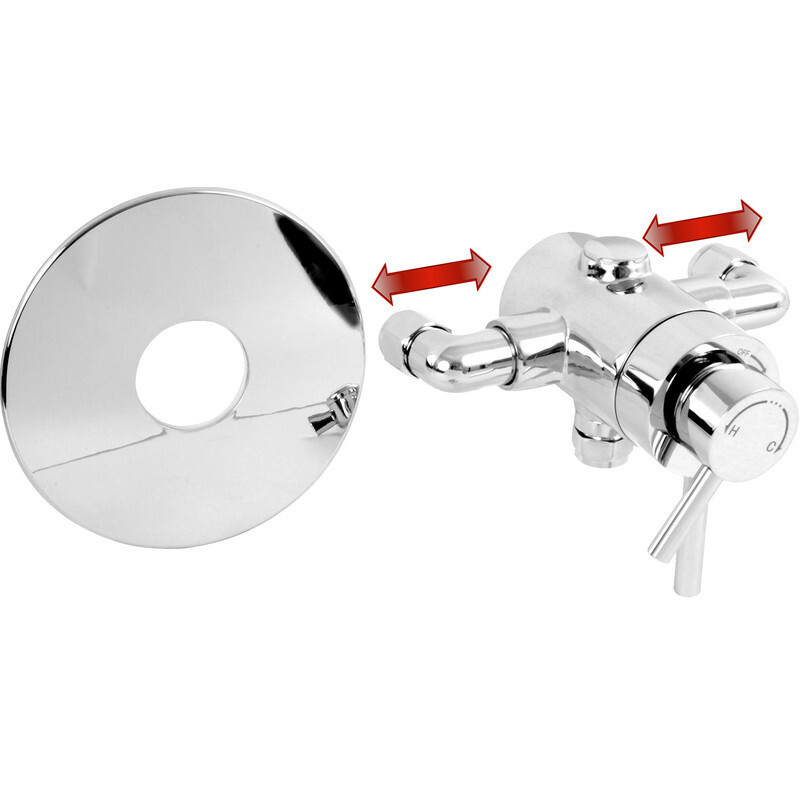 Exposed / Concealed Dual Control Thermostatic Mixer Shower Valve is rated 4.3 out of 5 by 7. Rated 1 out of 5 by mc21 from fell apart Fitted 7 months ago. Good to start with then became stiff. Guest was using the shower, turned on, body of shower shot out water everywhere. Had to turn water off at mains. Will be returning. Rated 5 out of 5 by Davidfrom dorset from Good product Easy to install, useful to be able to adjust according to pie width and angle. Rated 5 out of 5 by Fast Eddie from Superior shower mixer valvel Purchased as a replacement for an existing valve which failed, this was a straight forward no alteration fix taking about 1/2 hour. It works as it should no leaks a superior item to the original. Rated 5 out of 5 by KevThe Chippy from Perfect for non-standard pipe centres This was recommended by a plumber mate for when I was replacing a shower with 135mm pipe centres instead of the standard 150. Big range of adjustability, really chunky, solid unit. Oh and by the way - can't find the grubscew for attaching the temperature control? It's screwed into the rear of the mounting bracket so it doesn't get lost. Recommended. Rated 5 out of 5 by Pete47 from Thermostatic Mixer shower valve Excellent product, great service, easy to install.